Thank you Smoker. I made it myselve. Don't have a plan for it because it was an easy task and I made it mostly out of junk. But I could write you an instruction from the main parts with pictures when you have interests? 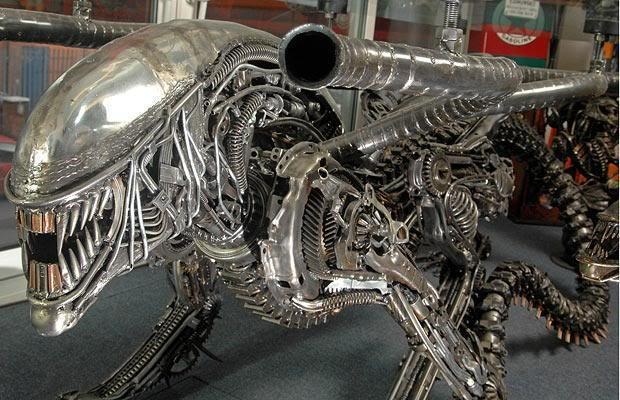 Someone could make Terminator a Tiamat out of steal like these. Very cool Miauz and welcome to the forums, btw. For those that might not know, Miauz is an admin on CEONSS. There is a way. 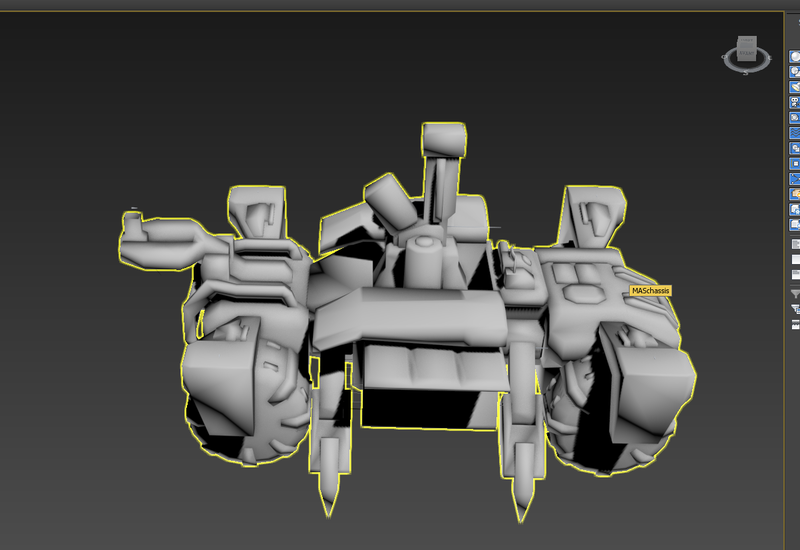 I got the turrets for the Goliath imported into Blender. I can't remember atm but if you have any trouble figuring it out then let me know. It should only take me a few minutes to run back through what I did. duh, in case you haven't found them, the other bits for the levi are in the animation package ONSFullAnimations. For the deployed model you will need a certain frame in the animation. I can't figure out how to do that. When Umodel exports the mesh it's on the wrong frame and I'm getting an error when trying to import the animations into Blender that I exported with Umodel. This is the 3ds file from the Mass_deploy animation, it's done with the ActorXimporter for 3dsmax, it's funny to watch it deploy in real time..
yeah, that's the one i ended up using. Seems to work pretty well. Thank you very much for that file. I'm cleaning it up now in blender. That's going to help me quite a bit. Sorry this took so long, I was finally able to check my PC. I used Umodel and Blender as well. Had some luck printing a Raptor and a Manta. Also printed a small Levi, had to tig out the turrets and main gun. Scaling was tricky but I did ok. I'm drooling! I can see a Leviathan on my desk right next to my monitor! How much would you charge to print and ship?